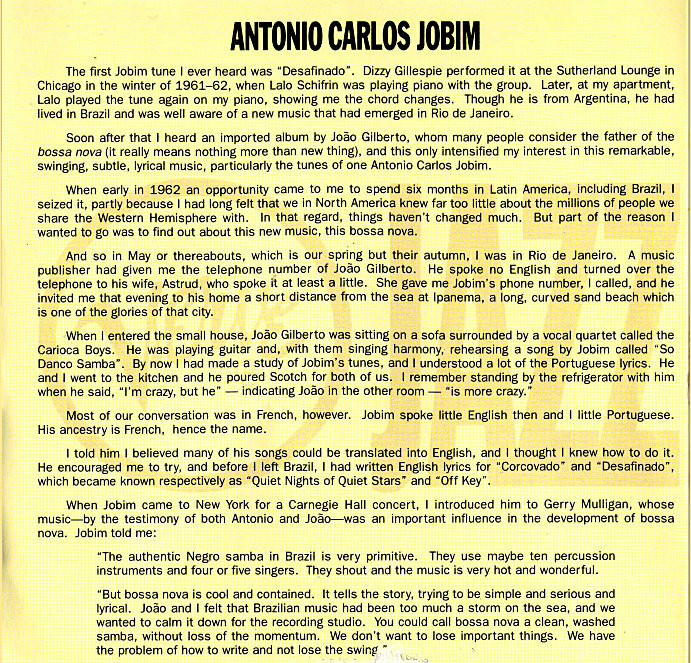 Antonio Carlos Jobim (1927-1994; also known as Tom Jobim) was by no means the sole musician associated with the Brazilian bossa nova movement, but he more than anyone else is regarded as the principal figure in that bittersweet, syncopated style. Already a well-trained musician by his teens, in the mid-'40s he devoted himself entirely to music, and started playing in nightclubs in Rio de Janeiro, particularly in the beach areas of Ipanema and Copacabana. Widely known as the composer of "The Girl from Ipanema" (Garota de Ipanema), one of the most recorded songs of all time, Jobim has left a large number of songs that are today included in the standard Jazz and Pop repertoires. 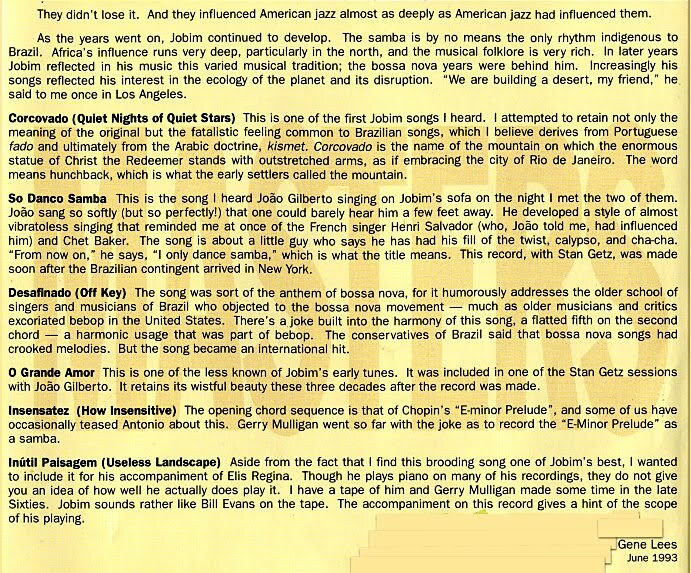 The article below was written by jazz critic/historian Gene Lees on June 1993; and it's quoted from the liner notes of the album: "Verve Jazz Masters 13: Antonio Carlos Jobim"